Spring has sprung! And while most people rejoice at emerging out of the winter slump and celebrating the spring blooms, as an allergy sufferer you most likely brace yourself for an onslaught of allergy symptoms. Seasonal allergies affect between 20 to 25% of Canadians and according to a 2012 study in the Journal of Rhinology and Allergy, allergies impair work productivity to a higher degree than hypertension and type II diabetes. 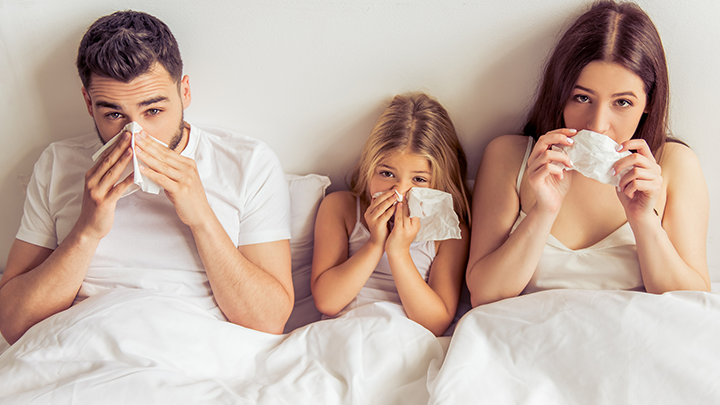 Allergies reduce the quality of life for those affected by it, which is why you may want to reduce your exposure to allergy-causing substances, especially in your home. Allergies occur when your immune system overreacts to a substance that you come into contact with either through, touch, inhalation or ingestion. Common allergens include mold, pollen, pet dander, dust and dust mites; and food such as dairy, soy, eggs and peanuts. When you are exposed to an allergen, the mast cells in your body release histamine which triggers the expression of allergy symptoms. Histamine is a part of your body’s immune defense and antihistamines, whether natural or conventional help reduce the severity of your symptoms by blunting this response. There are a multitude of allergy symptoms that can be expressed to different degrees by an individual. Symptoms of allergy include itchy and watery eyes, runny nose, skin rash, cough, fatigue, headache and asthma. You have probably heard of secondhand smoke but what about thirdhand smoke? Thirdhand smoke is a relatively new concept and it occurs when chemicals from tobacco smoke is left on surfaces such as carpets, drapery, clothing, and fabrics in your car which can linger long after the smoker has left the space. Secondhand and thirdhand smoke is a health issue for people who suffer from allergies to tobacco smoke but also for the general population. The chemicals in smoke are associated with an increase in heart disease and some cancers. The best way to deal with thirdhand smoke is to keep your space free from tobacco smoke and to clean and launder the contents of your space as regularly as possible. A humidifier can be helpful if your home is too dry in the winter. It can soothe a dry irritated throat, dry skin and lips. However, a humidifier can also be a fertile ground for the development of mold spores and dust mites. It is important to follow the cleaning instructions for your humidifier and to replace the filter often. Your basement, washroom and laundry room are other damp and dark environments where mold can flourish in your home. Check your home for cracks in your foundation and use a dehumidifier to remove the moisture as needed. Another likely place for mold to be found is in portable air conditioning units. Keeping the windows closed in your home with the air conditioning on can provide relief from allergies. However, rain water can accumulate in window air conditioning units which can create the perfect environment for mold growth. To deal with this potential problem, make sure that your air conditioning unit is properly installed and that any water that accumulates in the unit is drained when it is being used. HEPA stands for high efficiency particulate air and it can be a welcomed and appreciated addition to your home if you suffer from chronic allergies and asthma. A HEPA filter is a mechanical filter that helps to purify the air by physically trapping common air pollutants such as pet dander, pollens, tobacco smoke and mold spores. HEPA filters are available that can be conveniently attached to your home’s central system and portable units are available that can easily be moved from room to room. With allergy season upon us, it is the perfect time to take a good look at how and where you are exposed to the environmental substances that cause allergies. 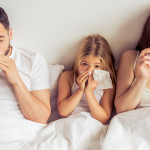 It is possible to be exposed to allergens right in your home and hopefully this blog has provided some ideas for how to reduce these exposures so that you can breathe easier this spring.